Abdul Yakub Mamji blessed with baby girl named Amrin. Shabbir Muhammad Patel (Manjra), Abdul Mo.Uzair Ravat and Hafiz Shaukat Ismail Ravat came from U.K.
Haji Yusuf Badat with wife, Haji Nazir Adam Harif with wife, Hafiz Shaukat Ismail Ravat, Kara Yusuf Harif and Hajiyani Fatimabai Haji Isamil Badat returned to U.K. MARRIAGE: Sayma Hafiz Ahmed Laher Manekporewala married with Muhammad Raja. DEATH (INNALILLAH):Mariyam Ismail Patel (Gaswala) passed away. ARRIVAL FROM FOREIGN : Ismail Ahmed Ravat (Aaeen) Thalawala returned from India. Ibrahim Amoji Ravat Manekporewala returned after vistited relatives of Malavi and S.Africa. she has been awarded M.D. degree with the honor of graduating with distinction in Research. This year's Gary Lombardi M.D. Excellence In Emergency Medicine Award from Albert Einstein College of Medicine was awarded to Khadija. The Gary Lombardi M.D. Excellence in Emergency Medicine Award is presented to a top senior M.D. student who has demonstrated excellence in the specialty of emergency medicine. She also was awarded as an inductee in to the Alpha Omega Alpha Honor Society from Albert Einstein College of Medicine. Khadija completed her Master of Science Degree from Stanford University just in 4 years with the honor of Phi Beta Kappa. During her study at the medical school, she was chosen as a star student at American Federation for aging research program. Khadija will finish her medical residency at UCLA Department of Emergency Medicine. 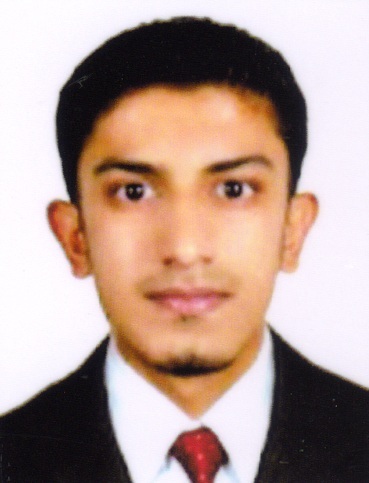 Muhammad Riyaz Yusuf Hanslod, residance of Panoli Passed M.B.A. exam taken through Dr.D.Y.Patil Vidhyapeeth-Pune University, Maharstra at Institute of distance learning, Pimpri- Pune. He praises his home land and the community. Congatulations. The Suratee Sunni Vohra Muslim Education Society, Surat is established in 1947 under the Bombay Public Trust act 1950. (BOM XXIX of 1950) at Baroda Trust Registration No. F-14 Surat dated 21.07.1953. The Suratee Sunni Vohra Muslim Education Society, Surat is fully devoted to the noble cause of spread of education in the community of South Gujarat region. Trust objective is to import quality education from Nursery, Primary, Secondary, Higher Secondary, under graduate, Post graduate levels in Art, Science and Engineering, Vocational Training, Diploma Engineering, Medicine etc. Alhamdulillah, by the grace of Almighty Allah and with the sincere supported by our well wishers, donors and under the excellent guidance of our experts, co-workers. Day by day the need is increasing and it is difficult to sustain now a days so we on behalf of Vohra Society, heartily request you to remember us and help us as possible by you especially in the month of Ramzan when you are getting huge sawab. It was a delight to meet and catch-up with Mohamed Bhai Bhanapatel of Eklera on his recent visit to the UK. Although he may not be fully aware of the indelible impression that he has left on many people over so many years, either as a result of his educational aspirations as a young man, or his diverse entrepreneurship and hard work ethics, or his leadership and lifelong contribution in relation to important issues affecting Muslims in surrounding hamlets and across the districts of Gujarat. The balance with which Mohamed Bhai has operated in both the religious aspects as well as civic aspects is an exemplary tribute to his maturity, wisdom and strength of character. I remember vividly as a 7 or 8 years old when Mohamed Bhai went from Eklera to study in nearby Sachin. As a foreigner living in Eklera in those days, having recently arrived from Tanzania, it was a breath of fresh air to witness a native with educational hopes and ambitions. For some of us he was clearly a role model, inspiring us to do well in our Eklera primary school. Having completed 5 chopdis, my family emigrated to UK, where later on in life I was able to further study Gujarati and achieve a Diploma, awarded by the Institute of Linguists in London. Yes my combined dictionary, Gujarati – English: English to Gujarati remains a close friend! Even though some of the young people of Eklera have not quite appreciated the value of higher education and have perhaps fallen short of being academically stimulated, I wish to urge Mohamed Bhai and all his colleagues not to despair in their noble endeavours through the Suratee Sunni Vohra Muslim Education Society (SSVMES) as sooner or later their sincerity and goodwill will make a profound impression on those people who are receptive to good advice and guidance. The well-known phrase to remember is, “you can lead a horse to water but you can’t make it to drink”. It is necessary to maintain and improve our collective support for fellow brethren who are in desperate need due to serious poverty, terminal health conditions or tragic family bereavement. At the same time no stone should be left unturned in relation to supporting our young people, boys and girls, so that they may realise their dreams and acquire educational and vocational skills that may benefit our communities long term, Insha’Allah.